I forgot to post about my NAB November box again – I only realised when I came to post December’s box. Oops. For November, my gift was this very pretty wash bag from Cabbages and Roses. It has a really delicate print to it, and despite living in a house with a million and one washbags (I always seem to get them for Christmas), I think this is my favourite. It’s the kind of bag someone in their mid-thirties should have. 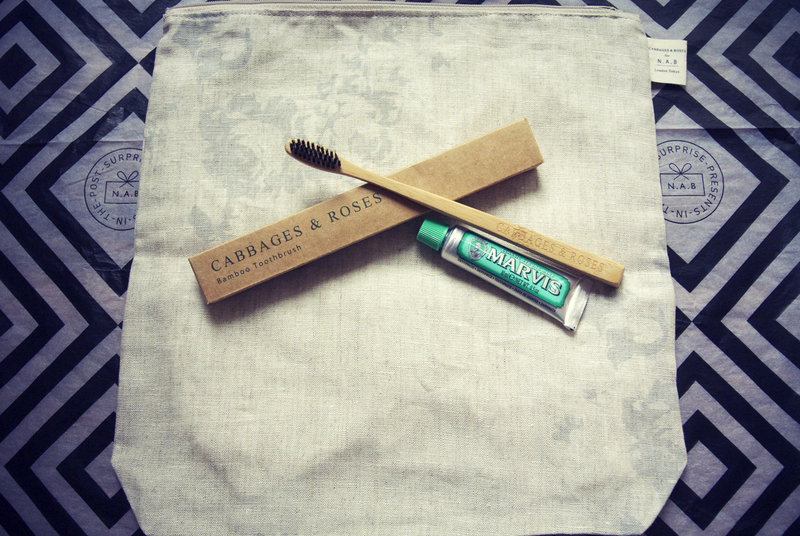 It also came with a bamboo toothbrush and a mini-tube of Marvis toothpaste which I’m saving for my next trip away. 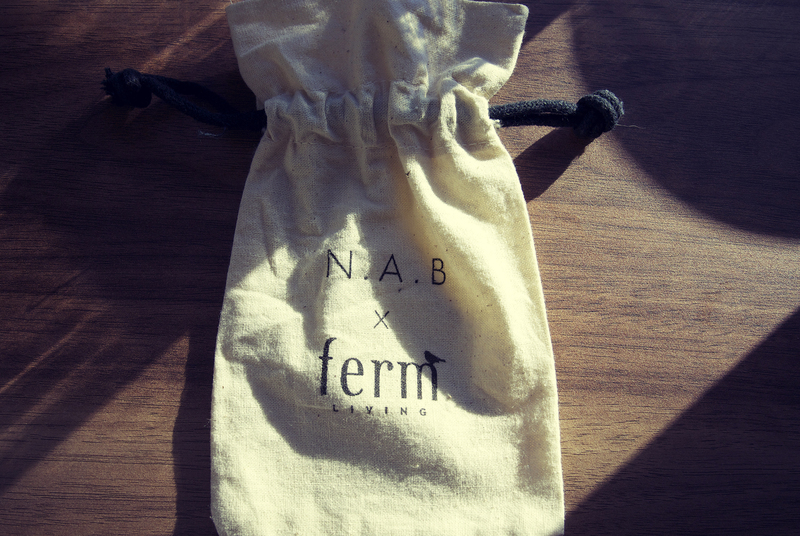 I knew I was on to a winner with the December gift when I unwrapped a drawstring Ferm Living bag. I’ve had a very small obsession with Ferm Living for a while, having window shopped their stuff in Copenhagen and then received a Ferm Living frame in another NAB box so this was a promising start. Inside the bag was a very heavy hexagon bottle opener. It’s solid brass and IS SO SHINY! 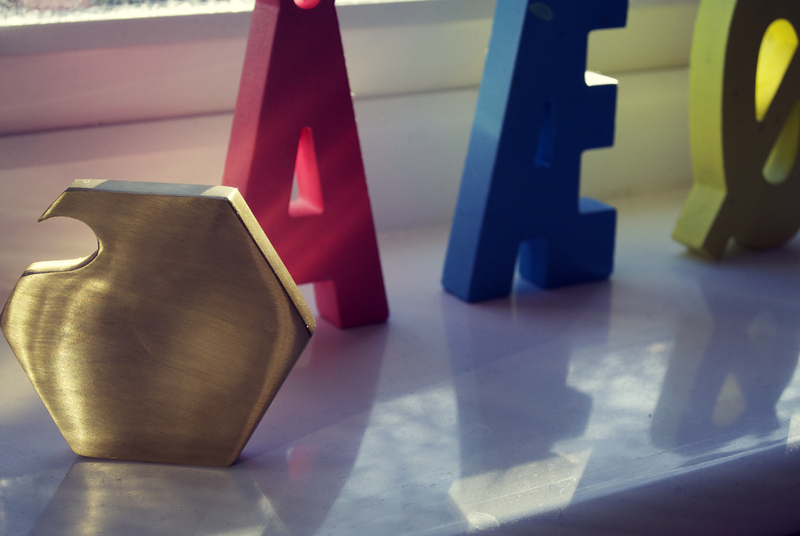 It’s currently living on my kitchen window sill (with my Danish letters) as it’s too pretty to put in a drawer.